With the NFL Draft approaching, Mississippi State defensive tackle Jeffery made a visit to the Cleveland Browns. CLEVELAND -- The Cleveland Browns don't currently own a first-round pick in the 2019 NFL Draft. But that hasn't stopped the team from checking out some of this year's top talent. 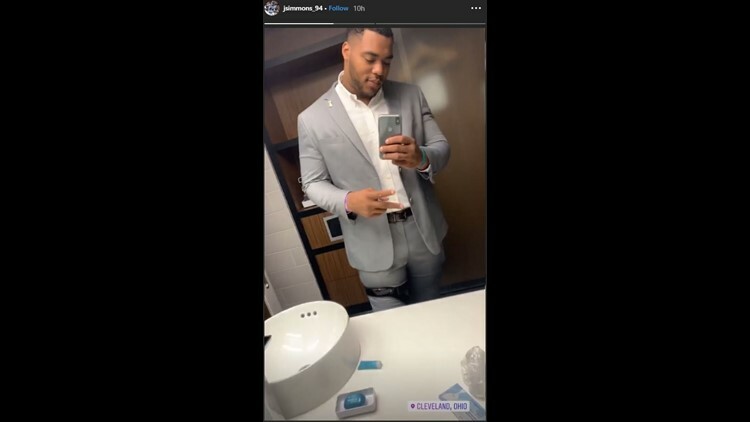 According to his Instagram story, Mississippi State defensive tackle Jeffery Simmons was in Berea Wednesday, visiting the Browns' team facility. 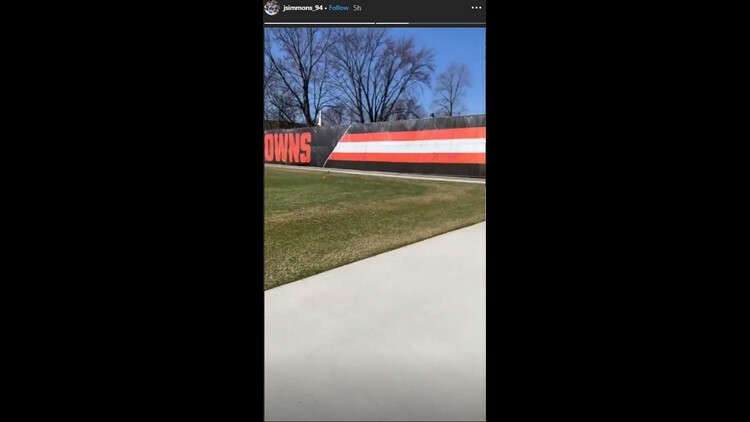 Simmons posted a picture at a hotel in which he tagged "Cleveland" as his location, as well as footage of his trip to the team's practice field. This is the first time Simmons has been linked to the Browns. In February, Tony Pauline of DraftAnalyst.com reported that the "belief" around the league was that Browns general manager John Dorsey would select Simmons, whose troubled past could cause his draft stock to slip. Shortly after arriving at Mississippi State in 2016, a video surfaced of the 5-star prospect repeatedly striking a woman as she lay on the ground. Simmons was arrested and found guilty of simple assault, before ultimately being suspended for one game. Pauline's report, however, came, while the Browns still possessed the No. 17 overall pick in the draft, which they ultimately traded to the New York Giants in their deal to acquire star receiver Odell Beckham Jr. Cleveland's first selection in the draft is currently the No. 49 overall pick -- by which point Simmons, who Bleacher Report's Matt Miller ranks as his No. 7 overall prospect, would likely already be off the board. But with the 6-foot-4, 301-pound Simmons currently recovering from a torn ACL, Dorsey may not have to trade into the top-10 -- or even back into the first round -- to acquire him. Even though Simmons is one of the most talented players in the draft, a heavy crop of defensive line prospects could push him down, given his current injury status and off-field history. In three seasons at Mississippi State, Simmons recorded 163 tackles, 33 of which came for a loss and 7 sacks, including 63 tackles, 18 tackles for a loss and 2 sacks in 2018. Although the Browns signed free agent defensive tackle Sheldon Richardson to pair alongside Larry Ogunjobi earlier this offseason, depth along their front four remains one of the team's biggest needs -- a need that could ultimately be filled with the selection of Simmons.